It might not be healthy for unborn babies if pregnant women sleep on their backs during their final months of pregnancy, according to a new study. The small study of 29 women in the final trimester of their pregnancies found that when mothers sleep on their backs, their babies enter a state of sleep and their hearts slow down. The researchers from New Zealand’s University of Auckland say this is the way babies respond to conditions when they get less oxygen. In other words, they suggest, in some situations, pregnant mothers who rest on their backs may raise the risk of stillbirth. But experts cautioned against overstating the findings. "It is important that women are not unnecessarily alarmed by the results of this small study of 29 women, none of whom had a stillbirth,” said Hannah Knight of the Royal College of Obstetricians and Gynaecologists in London. "It measures the incidence of babies in a sleep-like state, which has little evidence of any association with hypoxia, brain damage or stillbirth. It is not possible to draw a firm link between maternal position and stillbirth risk from this study and further robust research is needed." The women in the study all delivered healthy babies. Providence advises pregnant women to sleep on their sides, especially the left side, because it allows maximum blood flow to the fetus and improves kidney function for the mother. It may help to place a pillow between your knees. The non-profit Nemours Foundation points out that side sleep eases the job of the mother’s heart because it keeps the baby’s weight off the large vessels that carry blood to and from the heart and legs. It also improves the flow of blood to the placenta. If you are pregnant and have discomfort sleeping or want to learn more about what’s best for you, talk to your provider. 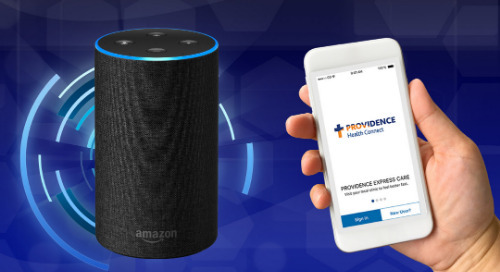 If you don’t have one, you can find a nearby Providence provider here, and a maternity/childbirth center here. The American Pregnancy Association offers extensive resources about staying healthy during pregnancy, which seafood to eat to safety precautions for moms who get tattoos while pregnant. Similarly, the Royal College of Obstetricians and Gynaecologists offers a page of resources for patients, including podcasts and a glossary of medical terms. The Nemours Foundation’s page on sleep during pregnancy is here. You can read the full study, “Effect of maternal position on fetal behavioural state and heart rate variability in healthy late gestation pregnancy,” which was published in the Journal of Physiology, at Wiley’s online library.